Yay, new Patrick Ness! The fact that it shares a title with an album I love only adds to my excitement. MOAR new Patrick Ness! Unlike The Crane Wife this one is YA, and that and the fact that it’s out in September is pretty much the full extent of what we know about it so far. But Ness is one of those authors I trust implicitly at this point, so yeah, I’m really excited. You know the year promises to be really good when many of your favourite authors will have new books out. I imagine that many of you will already have read the synopsis for this, so all I’m going to say is that I love how it sounds dark and strange and full of everything I love about Neil Gaiman. Why can’t it be June already? I really enjoyed Redemption in Indigo and I’m super excited to read this science fiction novel by the same author. Although I have yet to catch up with Atkinson’s back catalogue, I can’t resist the lure of this historical novel. The synopsis makes it sound like it has fantasy elements as well, and I’m really looking forward to seeing what Atkinson does with the premise. A collection of short stories by one of my favourite authors. I enjoyed Birds and Birthdays earlier this year, and I’m really looking forward to Barzak’s first full-length collection. Remember what I was saying earlier about so many of my favourite authors having books out in 2013? This is yet another example. 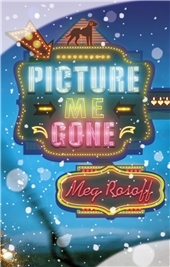 We don’t know much about it, but again, all I need to know to be excited is that it’s by Meg Rosoff. 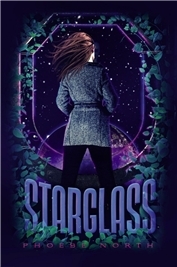 I’m a big fan of North’s blog and I can’t wait to read her debut novel, which judging by the synopsis sounds like a politically charged space adventure featuring a girl scientist. What’s not to love? There are many older Block novels I still haven’t read, but I can’t resist the title and the gorgeous cover for this one. GoodReads also makes it sound like it might be loosely based on The Odyssey, which only makes me more excited. Speaking of Australian books that will make it to my corner of the world next year, I’m really looking forward to this historical retelling of Rapunzel. More and more I think it’s important to emphasise that there isn’t a single right way to be a feminist, so I really love the idea behind this anthology. I loved Seraphina, and as much as I sometimes resent getting sucked into a new series these days, I absolutely can’t wait for the sequel. So, do any of these sound good to you? What are you looking forward to next year? Anything I missed? Disclosure: I have received advance reading copies of The Best of All Possible Worlds and Before and Afterlives. Well the Gaiman and the Ness are givens, aren't they? I too am interested int he Atkinson book. 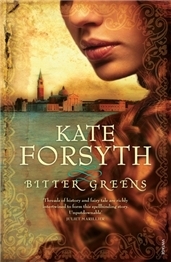 Bitter Greens is totally new to me, but I like fairy tale retellings so I must get this one on my list. Oh boy, I want all of these - looks like 2013 is going to be a delicious reading year! 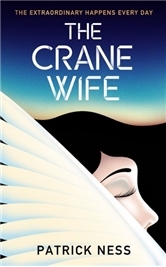 I've been excited about Life After Life and didn't know about The Crane Wife - now I'm excited about it too. 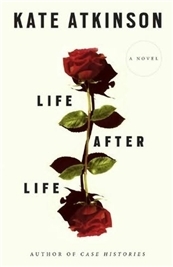 I am also excited about the Atkinson book, but didnt' realize about the Rosoff (love the cover!) and the Block, who I really like even though I don't like a lot of fairy tales/fantasy type books. Gaiman, eh? That reminds me I need to read Anasi Boys. Happy New Year and Happy Reading Ana. Fifty Shades of Feminism sounds amazing. My friends and I have a weekly feminist forum (by which I of course mean drinking, talking about feminism in public, and yelling at teenage boys) and that's one of the points that we usually hit pretty hard—there's no right way to be a feminist. They all sound great. I am getting them all, at some time, but I definitely want the Rapunzel retelling and the book on femininism. wow I know nothing about what's coming out soon, so this list got me excited. Well the Patrick Ness books got me excited, lol. I can already see the capslock email threads we're going to have the week after Starglass drops. Oh my! These all look terrific. I am off to add most of these titles to my Goodreads list. Uhg on the Fifty Shades reference. The Adichie, Atkinson and Forsyth books made me jump! How did I miss the news that Patrick Ness had TWO books being published in 2013? AND a new Gaiman?!? 2013 just become the best. year. ever. I forgot about the Gaiman, and I'm so excited that the new Hartmann is out so soon, since I loved Seraphina so much! I have yet to read the Patrick Ness When a Monster Calls (waiting for the softcover), which I am desperate to read. I wish the soft covers wouldn't take so long to come out - The Fault is in Our Stars has been promised for months and it's not out either. I have to go see what the Kate Atkinson is about , and I love the cover of the Barzak short stories. Some excellent books and authors to be waiting for, isn't it? Lovely list. Happy reading when they come in, Ana! 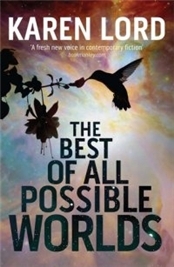 Looking forward to both the new Gaiman and Ness books, not that that is a surprise ;) The Best of All Possible Worlds looks interesting. Beth F: I'm glad to have brought Bitter Greens to your attention! 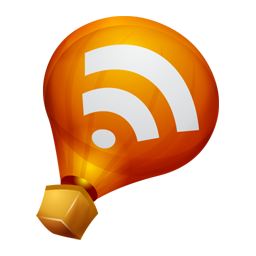 A couple of Australian bloggers have reviewed it and it sounds absolutely wonderful. raidergirl3: To you too! And definitely do read Anansi Boys - it's one of my favourites of his. Clare: Aw, you and your friends do the coolest stuff! Melinda: They both sound amazing, don't they? Charlotte: Ooh, I had forgotten that he'd mentioned a sequel to Odd! I'd love to see that as well. Quirky BookandFilmBuff: Hope you enjoy them when you get to them! Tasha: I actually think it's a cool title, even if it's one of those things people are not likely to be able to make sense of in a couple of year's time. Susan: Oooh, you definitely need to read A Monster Calls! And yeah, I don't like how paperbacks take so long either - it's well over a year at this point, which is just ridiculous. 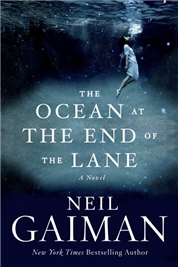 I think there are a TON of us who cannot wait to get our hands on the latest Neil Gaiman novel. I'm also looking forward to the children's book with Adam Rex that he has coming out. 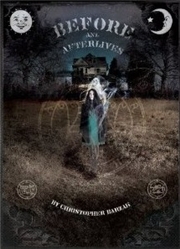 Its been too long since we've gotten a new Gaiman novel. I also wish they would get cracking on a new short story collection as he has published more than enough for another book since way back when Fragile Things was released. OMG you just made me so excited about 2013!!!! Have you seen how much Neil actually has coming out next year??? Just go do an Amazon search and sort by publication date! New anthology that he edited, new interworld novel, something called "Make Good Art" and so much other stuff! And the Ness! Oh god the Ness!!! 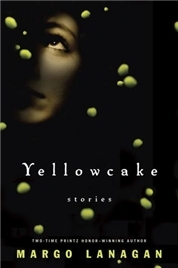 I didn't know that Yellowcake was finally coming out!!!! So excited about that!! And I hadn't heard of that Block!! OMG it sounds amazing!! And yes that cover IS gorgeous. I like your selection! 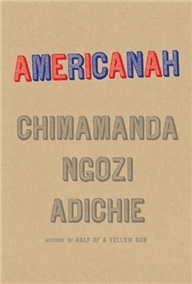 The one from your list that I'm most excited about is the new book by Adichie. But the book I'm truly anxious about is "The Fall of Arthur" by J.R.R. Tolkien, can't wait for it, I'm sure it'll be epic! I'm so excited for pretty much all these titles (though none except Dracomachia made my TTT post), but you also put some new titles on my radar, so thank you for that. :) I don't think I would have heard about Bitter Greens otherwise and it sounds really good. Wow, thanks for the list, Ana! They all sounds good; I just hope I've the time to read them all, lol. Oh my God, two books by Patrick Ness and one by Neil Gaiman AND a retelling of Rapunzel? This is just nonsense. How can there be so many wondrous things occurring all in one year? 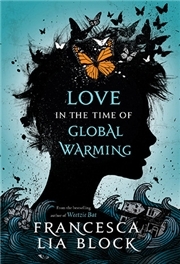 Neil Gaiman's new novel, I just can't wait! New Patrick Ness AND new Neil Gaiman?? Oh, 2013 is going to be a wonderful year indeed!